Following the successful release of their singles ‘God of The Impossible’ and ‘Your Love is Forever’, Sounds of New Wine released their highly anticipated debut Album ‘The Siege Is Over’ on 30th November 2018. ‘The Siege Is Over’ is a glitteringly beautiful compilation of moving songs that tell a story of a church that has passed through the devastation of loosing two pastors in 5 years and have had to hold on to faith through the trials. It is a biography that takes the listener through a journey of prayer, faith, resilience, healing and victory. Sounds of New Wine, the music ministry team of London-based Pentecostal Church, ‘New Wine’ have already received rave reviews on the project. The team hopes that the album will be an encouragement tool to strengthen the faith of other churches as well as individuals who are going through difficult circumstances. The Siege Is Over is a powerful and emotive album giving a reminder of the awesome power of God. 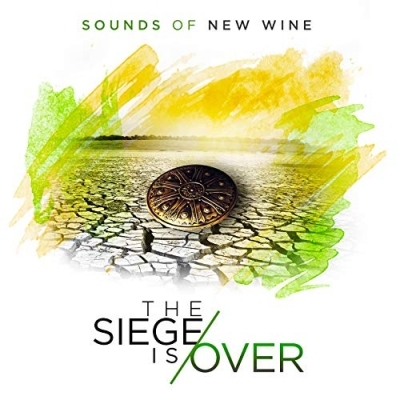 Consisting of live recorded songs pulling on tradition gospel sounds with contemporary and soulful notes, The Siege Is Over was collectively written by a pool of Sounds of New Wine members, and produced by Goz-I- Am and the renowned Lawrence Johnson, New Wine Church (London) Music Director.